- People that liked Rambo after the first movie. - The City and Province of Granada in Spain which should be known for something other than that time reconquistas and Muslim moors had a fight over it. What You Need: A Sega Genesis or a Sharp X68000. Had a hard day? Did dinner explode? Your turtle break up with you? It's understandable. You can't take in a bunch of negativity and just let it fester within you... at least not for a long period of time. It messes you up, it messes your family up, and it also messes up that turtle. Unless it cheated on you with a strawberry in which case it deserves to be unhappy. But you? You need to just blow up an entire army with some blue tank, I think. And what better blue tank then this one? During a war in Africa over some rare metals, some one in a super cool tank destroyed all the weapons on both sides of the war. This person is Leon Todo, pilot of what would be called "Granada" "God of Africa" or "Ghost of a Soldier". He's here to avenge some agent that died in Japan or something. 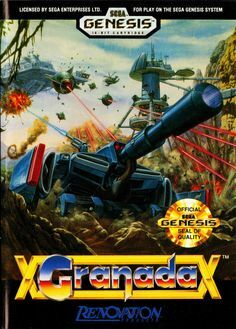 But as for Granada as a game it's something of a more open Ikari Warriors, if that makes any sense. You have a shield bar comprising of hits and a variety of power-ups scattered about. Maybe Smash TV would work better than Ikari Warriors? Oh well. What's unique about this game is that there is no boss room, necessarily. Part of the game's challenge is finding this boss amongst the waves of enemies and having to deal with it. Luckily you do get a map so it's more like finding the optimal route through everything while facing a timer, so be quick about it too! There are customizable controls which can make what is essentially a twinstick shooter on a Genesis controller a little more manageable. There's quite a few stages, so you'll get a lot of bang for your proverbial buck. So come on, let's destroy some armies! ...machine armies. Find some blood. Where is it? You can't find it, I'm not glorifying war crimes, shush. - Anytime you have a need to hear the song "Me And My Shadow". If there's any time Super Mario Galaxy is at its hardest is probably in two places. The more popular of the two is the Green Star Galaxies and the horrible realization that all those gimmicks you hated are back and harder than ever. But the more subtle one is when you first start and are learning what it means to platform upside down. It's a little disorienting for sure. But you get over it and move on to playing like usual. But imagine if you had to play an entire game like that... not upside down, I mean in a disorienting form that you had to get used to. Like being a shadow. Being held at the top of this old looking tower in very modern clothes, some knight guy cuts off your shadow and throws it away like trash. Now as your shadow, you must make it all the way back using the shadows of the world to your advantage. It has the little touches, like standing on the guard rails rather than the walkways and gates being used to represent spikes. But you also get to manipulate the environment via a shadow fairy/ Wiimote pointed at the screen as you look for three objects needed to progress through each stage. It has more of a puzzle element than a platforming one as you have to figure out what shadows can do for your progression and it's not always obvious either. There are some puzzle rooms, simple combat, and you get health increases (or shadow weight...) from grabbing little story notes in each stage which will no doubt help you as we go on. And it has the length to boot so there's very little reason to skip this unless you're scared of your shadow. It's okay, we all have our fears. - Anyone who really likes Marvin the Martian and the shinanegans surrounding him. - Satisfying that Lucasarts adventure game itch. - Conspiracy Theorists in need of a good laugh. Point and Click adventure games have always been an unpopular genre ever since Grim Fandango missed the mark on its potential profits. It was a product of the times taking puzzle elements and combining them with exploration. All the while you have to take in every small detail about the world around you, getting small clues that should lead to an eventual solution followed by progress. There's all the Lucasarts games, and a few independent efforts are attempting to recapture the magic, but I wanted to focus on this one made back during the rise of this genre. The main character is watching his uncle activate his wormhole generator when a lightning bolt strikes it and boosts the power of said device. This gets a manta ray like Entity and an alien ship that doesn't like that it got sucked in. So they kidnap the uncle while our main character hides. 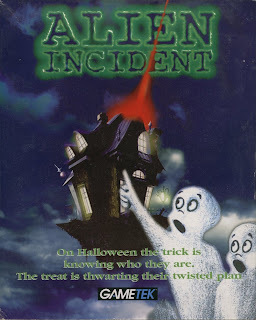 So now he must find out what happened and fix it before the aliens do the same and possibly take his uncle with him. The gameplay is fairly standard as you click on things, grab objects and use them with other objects. You talk to people and get what you need to progress through the story. If you know your way around it's very short, but the sense of humor is good, and the environments are nice to look at. It's set on Halloween so it has a dark color palette to go with the theme. Difficulty's not too high though there is an infamous maze sequence you'll probably need a guide for, but aside from that you should still enjoy yourself. Probably not as good as some of the best, but for having its moments it's worth playing at least once. -When you need simple bloody action against rats. -If you find someone that likes Final Fantasy and Final Fight. -Lunar Deities that are part of your family for some reason. Game of Thrones gets its popularity from one thing and one thing alone and that's its violence and propensity to take anyone's life at any time. No one really talks about much else, aside from who died and who did the killing. If they do they've probably read the book and care way more than most about A Song of Ice And Fire than you do. It's not just connected to Game of Thrones either. Any medium can get a lot more eyeballs in it if violence is thrown about with extreme prejudice. Which is unfortunate for this European title that didn't get its chance in the states because the ESRB wouldn't be formed for another year resulting in Toys R Us, Nintendo, and Sega turning the game down. Luckily it's now abandonware for anyone to take for themselves. 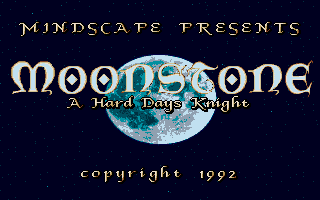 Druids have sent their best knights to Stonehenge in order to procure a mystical item called the Moonstone. Naturally, this means first come first serve and anyone else can get f**ked. There's up to four players capable of playing this one and it's not so long that you'll spend an eternity waiting for it to end. A necessary accomplishment for anyone picking out a party game. There's a turn based map where knights can go a certain distance before stopping. Here they can enter towns, towers, and arenas. You can also pick a fight with other knights if you really want that risk. However, fights are NOT turn based and are instead real-time with a lot of attacks open to you. The AI is easy to take advantage of, but play it with someone next to you and a lot can change in that instant. Even so, it can be very nerve wracking to deal with deadly foes as you search for that there Moonstone and bring it back to Stonehenge before someone else jumps you. Some druid is counting on you, so you better not let 'em down. -If you remember those old 90's cartoons that just put everyone in space for some reason. -Immediately after your Heroes of the Storm playing friend asks "Who are the Lost Vikings?" Erik the Red, Baleog the Fierce, and Olaf the Stout are plucked from their viking vessel by Tomator the horrifying alien. They now have to escape and find a way back to the time they were in before. Naturally this is a problem and especially since Baleog is the only one with a sword, and Olaf kept the shield. As a result, they have to work together in a puzzle platformer in order to get past the obstacles before them. Each of the three vikings (plus Fang the Werewolf and Scorch the Dragon in the sequel) have unique abilities needed to get everyone to the stage's end. And yes, they ALL have to make it, or you're starting over. It has very little in the way of let but don't allow that to deter you as the puzzles are well constructed and there is a bit of humor to be had of the situation. There is inventories to manage, split ups will occur, and health has to be managed from time to time if you're not perfect. But get through it and you may have a new appreciation of the word "difficulty". Or you can just give up. I'll make sure to judge you until I'm in the grave. 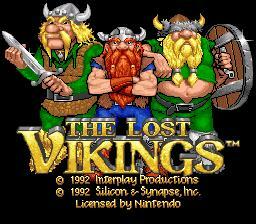 I vaguely remember The Lost Vikings. Blizzard must be out of ideas. - Your parents that just haven't been that into basketball lately. - If you love NBA Jam, but want it more in 3d and sponsored by a TV Channel. - Basketball Team Mascots that dream of winning the playoffs for their team. There came a time when the arcade sports games died! The brave died with the cunning! The noble perished, paving the way for the realistic sports games appeasing the commissioners that run these organizations! It was the last day for them! An ancient era was passing in fiery holocaust! But before that we had the early age of 3d where games like NBA Blitz and Ready 2 Rumble Boxing were king. For Midway, however, there was NBA Jam: A series that hit large in 2d space and recently revived with a digital only title. But there was a huuuuuge gap between those two spots and arcades in the west died in that time. However... in the early 3d era... THEN-THERE WAS NEW LIGHT! NBA Showtime plays like a standard basketball game but two on two, with few of the rules still intact. Goaltending is a more serious offense with straight up points being given out. Like NBA Jam most of the game play comes from slam dunks and alley oops more than normal shots and you are more than rewarded for getting a streak going. NBA Showtime probably gives you the biggest bonus of all from being on fire. Better shots, immune to fouls, unlimited turbo, and a nice blue flame under your name. It may seem unfair but it's so easy to stop that it's your fault if it gets to this point and it does go out on its own after a few shots. Showtime isn't going to win any awards for modes as there is really just multiplayer and what is technically season mode, but if you need that NBA Jam feeling in your life, it's nothing to sneeze at. Throw it out at any party and have some quick and easy fun, or play it yourself and beat your least favorite team with the Creature from the Black Lagoon and a member of the dev team. Hope you have GameFAQs handy for those codes. 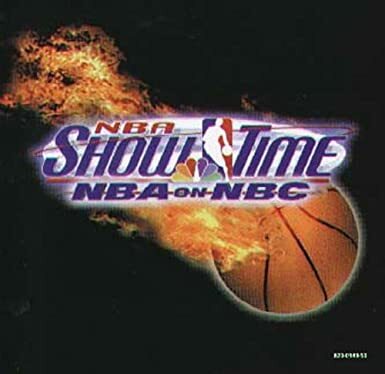 ^Well, I didn't ever play Showtime (or NBA Jam, come to that), but I think I see the appeal. Like...why not go nuts. Sports games don't have to go for pure realism, any more than fighting games do. If Hadokens improve the gameplay experience, you should always put them in. Find a way, right. ^ Works for racing games too. Blur was pretty fun. Nothing wrong with a little wackiness. -Anyone that enjoys psychic powers in their media. -If you were unfortunate enough to play Sonic 06 and found that Silver was kind of fun to play as. -If you ever thought to yourself "Hey, I need to be upset about something never getting a sequel". Powers of the mind are one of the things people love to fantasize about. The untapped potential that could revolutionize the world and finally explain how far the mind can really go. There's been movies, entire TV shows based on this premise alone, and for video games this is no exception. So let's talk about one. Nick Scryer has no memory of who he is as he needs to get past the mind readers in the terrorist group known as The Movement. He gets captured and put in a cell only to be rescued by Sara who gives him his memories and in turn some of his psychic ability which he gains back over time. This forms the crux of the gameplay as the variety of ways you can overcome enemies and bosses changes as you get powers and weapons. 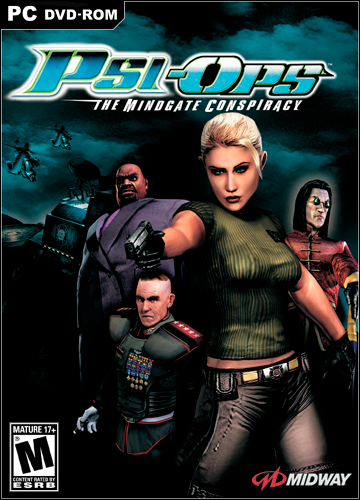 Psi-ops is also a well-built third person shooter, at least for its time, but even if it's not going to beat modern games in atmosphere it does what it set out to do. You have health and PSI, both recovered via pickups, and a menagerie of the standard psychic abilities to test on members of the Movement. You can get more than a little creative in dealing with enemies, easily or otherwise. But the bosses you face are also inventive, possibly some of the best shooter based bosses you'll ever find in fact. Problem is, it's not easy to find thanks to Midway shutting down but if you do find this somewhere you owe it to yourself to get this one. Everyone needs a little havoc in their lives. ^^World needs more 'Power Stone', dangit. We dwell in a cold grey 'Power Stone'-less winter. Will I live to see the spring? The lack of Power Stone is indeed disturbing. If Capcom can release SF2 1000x I don't see why one more Power Stone Collection is asking too much. HD this time. -If you love anything with Werewolves in it and isn't afraid to branch out. -Furries, Scalies, pretty much anyone that wants to be an animal I guess. The thing about lists like these is that they are very... subjective. Hidden Gems are usually in their position for a reason. Sometimes it's because they were released at the wrong time, had no advertising, or aren't exactly a palatable experience to most people. In Bloody Roar's case... it's entirely because it's a franchise of mediocre to bad games. 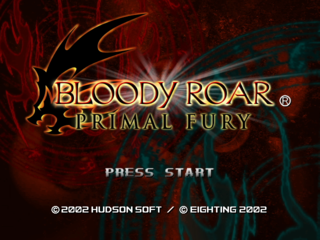 It pretty much hung onto the idea of "Tekken with Beast Forms" up until the third game, but it got most of its popularity when Bloody Roar 3 got an upgrade... then it went to waste when Bloody Roar 4 stunk up the room. But that's not important right now. During a time where humans and "Zoeanthropes" aren't really getting along, a new kingdom was born speaking of equality and peace. However, its security force made entirely of Zoeanthropes and the rumors of experiments on people to see how Zoeanthropes tick made people uneasy. So, to dispel these bad feelings and prove how strong they are the Kingdom started a tournament. The winner gets a cash prize so a bunch of returning faces show up. All fights take place in a glass cube with various backgrounds around them, and you smack each other around until your health bar depletes. It's a pretty standard fighting game for the time, but with a twist! You can turn into a beast to deal more damage and be harder to deal with in general. You can even do special moves if you know the combinations to do them. However, these forms are temporary and if you lose this form mid-fight it can leave you at a disadvantage. So, do you wait for your opponent to pop it then do the same to counter them, or do you wait for them to run out? Or perhaps you can just use it from the start and destroy your opponent. It has a good amount of flash and enough substance to be worth playing, if only for an hour. And if that doesn't work you can always play with friends. Everything's better with friends. ^ That was such a great, fun, interesting game. I didn't really get to play it with anyone much but learning the characters was enjoyable enough. An HD remaster would be great. -When you need a campy story that takes itself completely seriously and you need it NOW. -If immersion matters most to you in a game and you don't mind little hickups. What You Need: An XBox. As graphics slowly reach their zenith, and technology goes farther than our hopes can dream, video games must go further than graphics to get people's attention. For some they take the approach of story and try to be more immersive. Of course, some could say that this is the wrong direction to take video games and seeing as how walking simulators that try to tell a story tend to flop it seems a lot of people agree with that notion. But, regardless of what you believe, perhaps this will catch your attention. There was a game made in 2004 that tried to capture immersion on the XBox and for a while, it totally manages it. Does that entice you? -Smackin' it up in that *spit* cozy jail. What You Need: Xbox, PC, PS3, PSVita, and Your phone. Oddworld is... a strange franchise, to put it lightly. 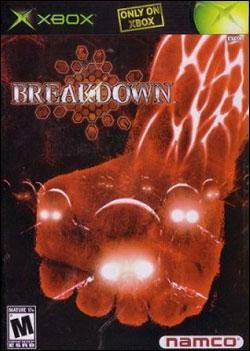 After the first two games centered on single screen puzzles centered on hostage rescue, the third game was an attempt to put that into the 3d space. Unfortunately, it never recaptured the magic of the first two games and for a while, Oddworld buried itself to be forgotten. That is until this game came out and went in a completely different direction... Then the sequel killed the developer. It's okay, they came back. They're just remaking their old stuff these days, though. The Stranger is a bounty hunter looking to capture the bad guys for money. With his crossbow and dull tones, he's looking to get them all. But not everything is as it seems, is it? Anyway, Stranger's Wrath is all about switching between first and third person capturing guys dead or alive. Naturally you get more if they're alive then if they're dead if only because it is harder to do so. Getting more money gets you more upgrades and other items. Not health items, you press a button and you shake the damage away, so it's about finding a space spot and hoping nothing runs after you. As for your crossbow, your "live ammo" is found out in the wild by stunning and grabbing small creatures that will do a number of things to the bad guys. Then you walk over and hold them down to capture them. It's all tied together very well, and the humor is top notch. 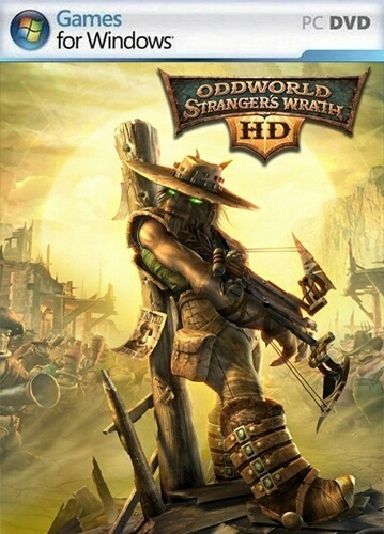 Plus, there's an HD remaster so if you don't have an Xbox, you can always play Stranger's Wrath on your phone. It's possible... I think. -Anyone that enjoys the inner workings of music. 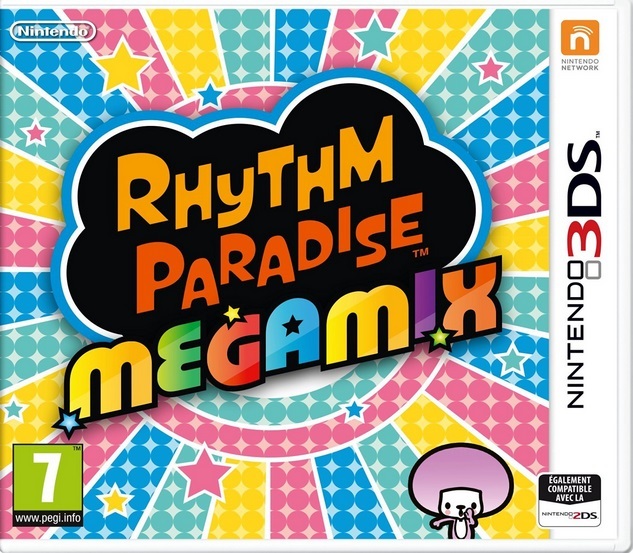 -Fans of games like Parappa and the two other Rhythm Heaven games that made it to the states. -When you only buy digital games. Rhythm Heaven is a franchise that is easy enough to understand, I think. Created by a music producer in Japan to take advantage of the few buttons a Game Boy Advance had, it quickly became one of Nintendo's biggest new franchises. However, of all the games released it doesn't exactly get the respect it should outside of Japan. Despite good sales on past games, the latest game in the series is digital only in the west which is a shame because it's a good starting point for those that are interested, more so than all the games that came before it. -If you love 3d beat 'em ups in an open environment. Like you're surprised. Yakuza is probably one of the best franchises right now with annual games in its franchise and it hasn't slowed down for years. With the franchise finally getting its chance in the west you owe it to yourself to play the games from the beginning with the very first one... except Yakuza 1's rough around the edges and might leave a bad impress- PLAY THE GAMES FROM THE BEGINNING WITH THE PREQUEL GAME! Ha ha. Playing between Kazuma Kiryu and Goro Majima you delve into the pasts of both characters way back in the 80's during Japan's bubble era. Discos are around, money is literally everywhere and our protagonists are in trouble over a piece of land where someone was murdered. As such, our protagonists deal with their current problems while contributing to the overarching plot/side plots. There's tons to do in Yakuza 0: slot car races, building up a hostess business, dancing, singing, gambling, arcade games... but the game itself is a beat-em-up with tons of versatility centered on heat, and breakable equipment. HEAT is pretty much your special bar and you use it to deal out tons of damage while keeping enemies from making you lose it. The newest mechanic, however, centers on money, specifically how money worked in the bubble era. In the same way people got rich, poor, then rich again you'll be getting TONS of money only to use it all on leveling up or losing it in a fight. Then you build that money back up. I'm so behind this franchise that I believe if you have a PS4 AT ALL, you owe it to yourself to buy Yakuza 0 and try out the franchise, see if you like it. It's better than crawling around for the older games at least. Have a great new year, I'm done. I'm gonna find a place to sit after doing this for a month straight.